When Sam Raimi’s Spiderman 3 was a box office hit but was slagged off by fans and critics it led to Sony choosing to reboot the series with a different director and a new Spider-man (with a hyphen). It hardly seems like any time has passed at all since Spiderman 3. Despite these thoughts I was intrigued enough by the casting and clips so I went to see it and I really enjoyed it. 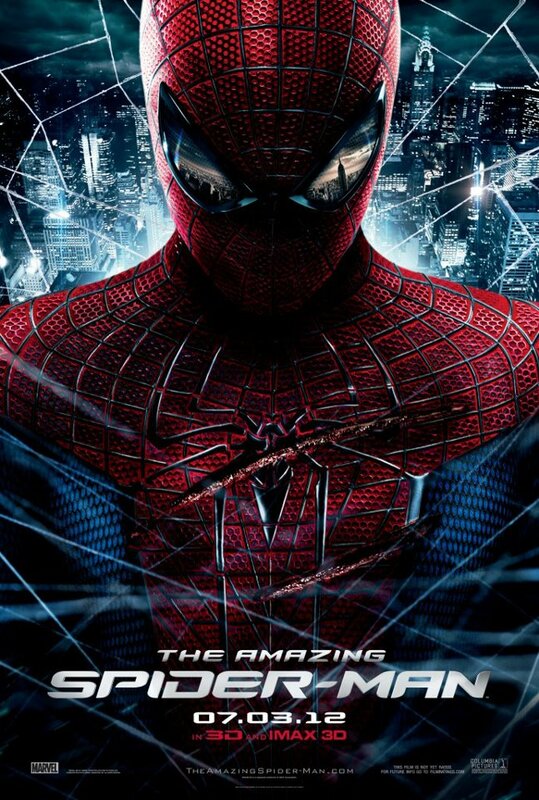 The cast is great, especially Andrew Garfield as Peter Parker and it has a good mix of character drama and action and I think it is an improvement on Raimi’s films. In this film we see Peter Parker as a young boy living with his parents before they have go away somewhere and they leave him with his Uncle Ben (Martin Sheen) and Aunt May (Sally Field) Right away this give Peter and his Aunt and Uncle a deeper characterisation than in the previous film. Then it’s a transition to Peter as a high school student where it establishes that he is nerd picked on by the school bully Flash Thomson (Chris Zylka) and he has a crush on a girl in his class called Gwen Stacy (Emma Stone). Peter finds his father’s leather briefcase in Uncle Ben’s basement where he finds a photograph of his father with another man. He learns that this man was his father’s partner Dr. Curt Connors (Rhys Ifans) and he works at Oscorp. Peter wants to know more about his parent’s deaths and he sneaks into Oscorp tower pretending to be a candidate for an internship in Dr. Connor’s lab. Unfortunately Peter’s cover gets blown when the assistant showing the candidates around turns out to be Gwen Stacy. Peter sneaks away from the group and explores the secure area of the lab. He comes to strange room where a fibre is being created and there are many spiders (uh oh). He pulls a fibre and ends up covered spiders. He brushes them off and gets out back to Gwen who is a bit pissed at him. That’s when a spider that he missed bites him and injects him with its groovy magic venom. We know what’s going to happen but this time the film takes it time in the gradual transformation of Peter into Spider-Man. He discovers his sticky hands but can’t control it which leads to a funny action scene on a subway car where Peter also discovers his increased strength and agility but it really takes him time and practice to get used to using these new abilities. He decides to humiliate Flash Thomson in the gym in front of his jock pals and damages the basketball backboard Uncle Ben gets called into the school and he finds Uncle Ben very disappointed in his behaviour. Later Uncle Ben gets killed in a struggle with fleeing armed thief that Peter could have stopped earlier if he wasn’t being a bitter smartass. This really hits Peter hard. This leads to Peter using his powers to hunt down criminals who look like his uncle’s attacker. He’s not fighting crime, he’s on a vendetta and I doubt he has even considered what he would do if he caught the guy. This is when the costume forms, not all at one but in stages, mask first. Then comes the webbing which is where this really differs from the Raimi series because these are created by Peter and not some unlikely extra superpower and it drives home how smart Peter is. Once we get our Spider-man we need a villain for him to fight. Peter went to see Connors at his home and reveals that he is Richard Parker’s son. Connor’s research has hit wall but thanks to formula discovered by Richard Parker and given to him by Peter he has a breakthrough. Dr. Connors becomes desperate when an Oscorp executive shuts him down and seizes his research because he refuses to push ahead into human testing so Connors injects himself with the formula. He regenerates his missing arm but the formula goes much further and transforms him into the Lizard, a sociopathic humanoid reptilian creature with a mad plan to transform everyone into reptiles to make the world perfect. This film has a nice balance of character drama and action and relationship that develops between Peter and Gwen is really believable. There is a great supporting cast and Martin Sheen as Uncle Ben and Denis Leary as Gwen’s father Captain Stacy in particular are really great. Stan Lee has a really amazing cameo right in the middle of an action sequence that I just loved. I also liked that the film showed Peter had to work to become Spider-Man. The only weakness is that Connors/the Lizard is a bit underdeveloped but this a long film and I suppose sacrifices had to made. This is really solid entertaining film and I recommend it.